Although much of the news surrounding Chevrolet Trucks’ centennial celebration involves new product and programs, the brand presented something that incorporates a bit of old, and a bit of new. Chevrolet revealed the 1967 C-10 pickup alongside the 2018 Silverado Centennial Edition and the 2o18 Colorado Centennial Edition at the Texas State Fair. Details are scarce, but we know the throwback pickup truck will be present at the 2017 SEMA Show in Las Vegas later this year. 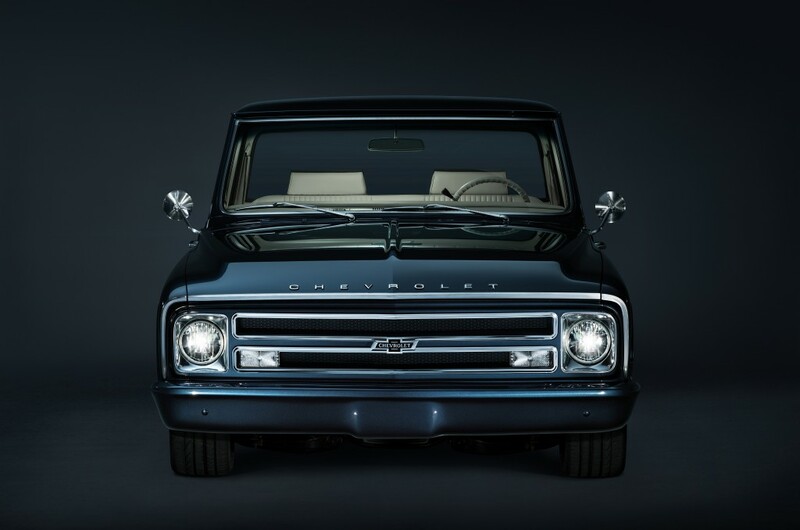 The brand simply noted the 1967 C-10 has been customized to feature many of the same elements found on the 2018 Centennial Edition Silverado and Colorado. 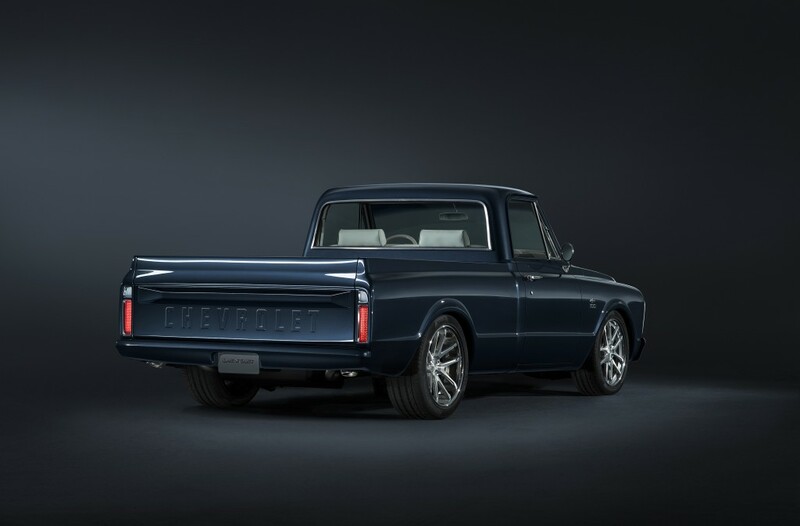 Like the new trucks, the 1967 C-10 boasts the same “Centennial Blue” exterior color and wears the heritage-inspired bowtie badge. Mechanical bits and other modifications were not discussed at its reveal. As part of a 100-day-long centennial celebration, Chevrolet promises it has more news to share in the coming months. All of it will culminate at a centennial bash at Texas Motor Speedway on December 16, 2017. I got one in my garage! Mine is a 70! Still the best looking truck ever made! Been saying all along that they should lower the new trucks. Wish my 2014 had a stance like that. Nice to see a regular cab 2wheel drive instead of some Baja 1000 wanna be. You do realize that you can lower it yourself? Or are you that type of person that is too cheap and expect to factory to do it for you? Trollboy, go back to doing magic tricks for your mom’s bridge club for entertainment instead of trying to get attention here. L-O-S-E-R.
There’s no trolling going on here! Just the truth! Sounds to me like there’s some truth to what I said! You either don’t have the money to buy a old truck, or have the mechanical talent to build one. So no wonder why you are asking the factory to build one. That is going to be Awesome. I have a 68 C20. Like to see what has changed to mine. I am a proud owner of an 07 Silverado Lt and a 72 C20, i refuse to drive anything but a Chevy. So where and how do you sign up? Hey Fellas……….I have an award winning 1957 Chevy 3100 Model and it was the style that was available for just one year…..I have been receiving rave reviews for this model as it has been completely modernized with a new SBC. engine along with many others goodies……..including A/C…….! Where do I get the bowtie badge for my 67? You do realize that you can buy a old on and build it yourself? Well that implies that you have the talent to! So maybe not! can someone tell us what is that color code?